The reason your mouth waters over a juicy steak and the reason babies drool when they are teething are the same reasons you drool in the dental chair, according to a recent study in General Dentistry, the clinical journal of the Academy of General Dentistry. Salivary flow increases while you’re sitting in the dental chair because dental procedures stimulate saliva glands. A patient’s mouth needs to be dry for the dentist to complete many procedures. Additionally many of the products dentists use, such as adhesives, amalgams and bonding materials, don’t work effectively unless they are placed in a dry environment. To keep the mouth dry, the dentist may use cotton rolls, rubber dams, or high-speed suction, individually or in combination. Some patient’s drool can be excessive which becomes a problem, making dental treatments more difficult. In these cases, Dr. Perle says medications that alleviate the problem are available. The medication is short-term and allows the dentist to work in a saliva-free environment. “Everyone drools now and then. 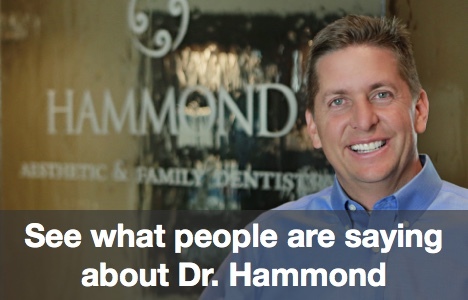 It’s natural, and something dentists deal with every day,” says Dr. Perle.